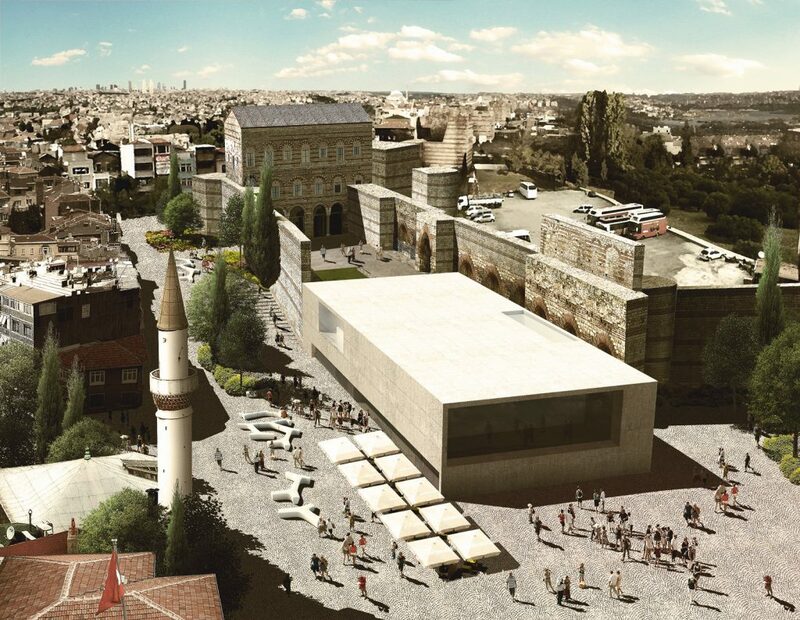 The goal was to create a modern museum in one of the oldest buildings of Istanbul. To make a museum work, functions as Visitors Service and museum education, cafeterias, administration and office spaces and a logistics area are required. All these missing functions cannot be located inside the Tekfur Palace. An additional entrance building, hosting all these functions, was necessary. The challenge of this new building was the appearance and the interactivity between the old Tekfur Palace and a 21st century „addition“. 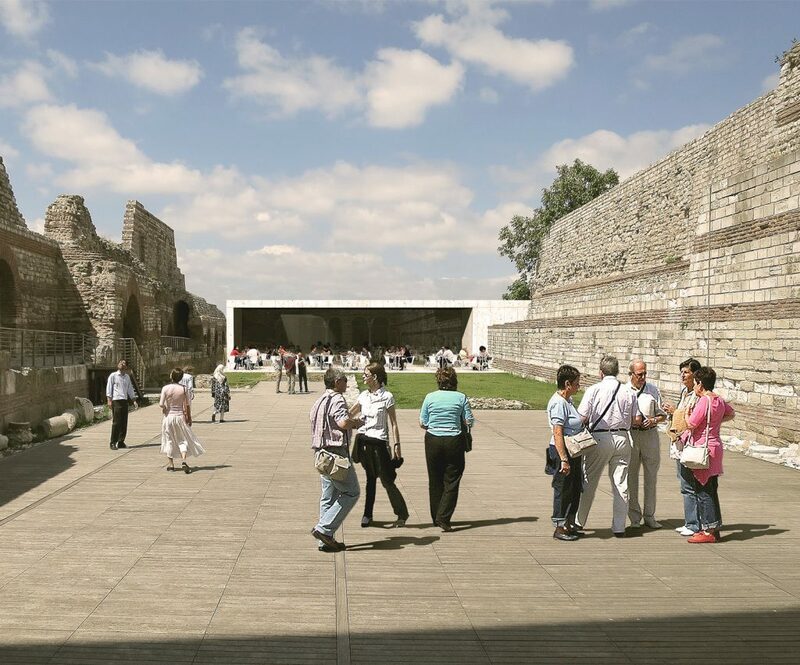 A new entrance to Tekfur Palace and the Iznik Design Centre was designed as a timeless and modern building which does not compete with the old palace, the historic walls or the exhibition. It was designed as a functional frame for the exhibition which invites the visitor at the same time. The infrastructure on the site guides the traffic of visitors, delivery, supply and disposal. A clear orientation ensures easy understandable access routes to the Museum for pedestrians, cars and buses. Sufficient parking, which must not harm the appearance of the building, are close to the entrance. 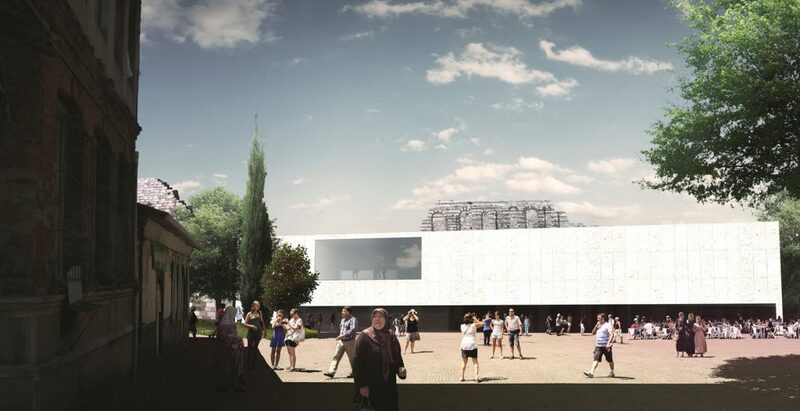 The new museum has to be seen as an opportunity for changing the quality of the urban space and the associated improvement of the whole neighbourhood. To reach this goal the linking of park, square, new entrance building, Tekfur Palace and its courtyard, museum and the city was an essential part of the design concept.